PET Technologies is a European developer and manufacturer of the blow molding equipment and blow molds for reasonable price. 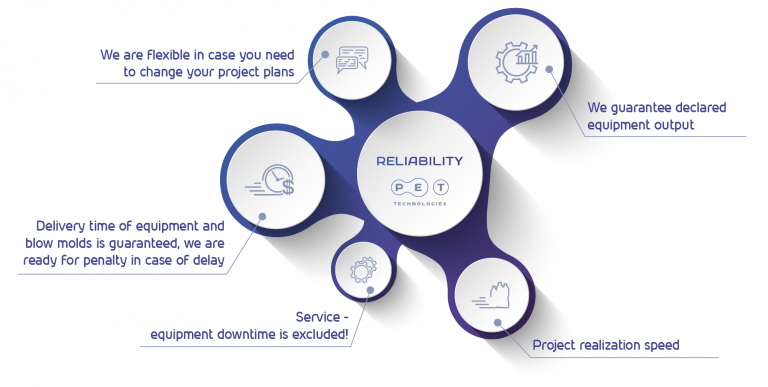 Reliability and simplicity of equipment became an element of success in 45 countries of the world. The equipment has CE certificate, meets HACCP norms. New worldview extends PET Technologies opportunities, keeps and highlights its strengths: simplicity and uniqueness, reliability and service, European quality and advanced technologies. Favorable changes in the products, services and company itself prove the corporate values behind the brand and the motto “Element of Success”. Our partners are leaders in their market segments with years of experience in their field! PET Technologies company has acquired perfect reputation in the industry due to its powerful growth, global achievements and attitude to partners. INDEX 6 is partner to design and engineer, manufacture and install completely automatic ultra clean filling and packaging machines for milk and dairy products, ketchup and mayonnaise, oils, juices, wine, spirits, baby foods, as well as non-food products such as cosmetics , household chemicals, petroleum products. is our partner to design, engineer, manufacture, install and service high-tech water and soft drinks filling lines. GEO-ENGINEERING is manufacturer of bottling biologically active products (juice, tea, milk, ketchup, sauces, etc.) and alcoholic beverage. Airpol Ltd. is partner to supply screw compressors and satisfy customer’s needs in modern technical and organizational compressed air solutions; the largest Polish screw compressors manufacture. Petainer is exclusive partner to provide turn-key PET keg and returnable cooler solutions, global leader in high quality sustainable PET and other plastics packaging design and production. 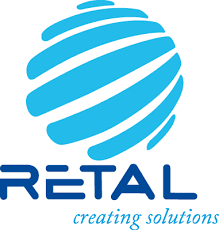 RETAL is partner in PET packaging solutions. Company produces preforms, polymer closures, containers, films. “Promavtomatika” produces filling lines for various types of products, such as: alcohol, mineral water and CSD, vegetable oil. 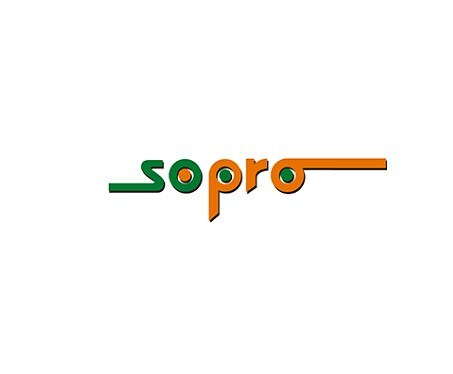 Sopro Machinery LLC is a partner to support our sales and service operations in the USA and Canada. This is a well-established plastic machinery dealing company in Chicago, IL.